Day four. After a forceful run by a strong bone, I manage to get most the flyline back on the reel. 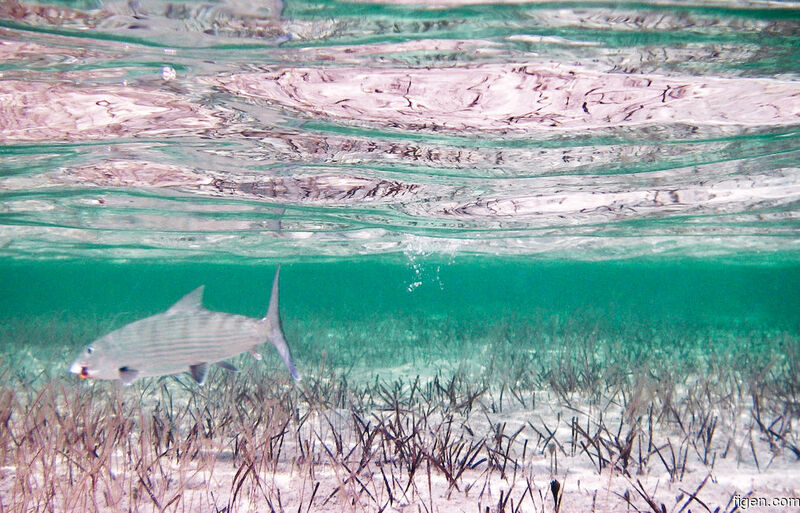 The oversized tail hints to the spectacular speed and agility of the bonefish.